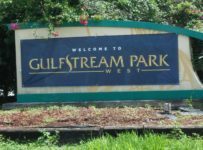 Sunday will be day 36 of the Gulfstream Park West meet, with Fast and Firm conditions listed as of 9:00 a.m. ET. Eleven races will be run, with a large 113 entries. 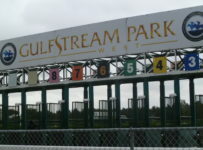 Turf races will be on #1,3,5,8,10, while two-year-olds saddle up in races 3,6 and 9. First Post is high noon 12:00 PM. 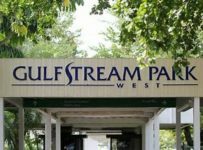 Saturdays action included 7 favorites winning their races – of 10 races that is rare – and another carryover on the Rainbow 6 wager. When the high odds winner is just 4.4:1 on the day, the payouts will suffer. The Late Pick 4 paid $36.60, the Late Pick 5, $48.50. Those were 50 cent bets. The Rainbow 6 winners could perhaps afford a family meal at the Golden Arches, as it paid a miniscule $55.82, equating to approximately 600 winning tickets. Sunday’s carryovers include the Super Hi-5 in race 1 at $5,627, and the Rainbow 6 at $67,040. The next race day is Thanksgiving Day. Have a safe and enjoyable Thanksgiving to our subscribers !